Fig. 1. Corn earworm larva in sweet corn. Corn earworm (Fig. 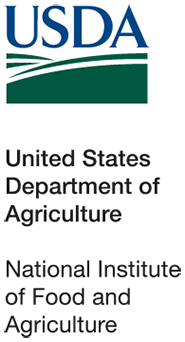 1) and fall armyworm are two important pests of a number of agricultural crops in Virginia. 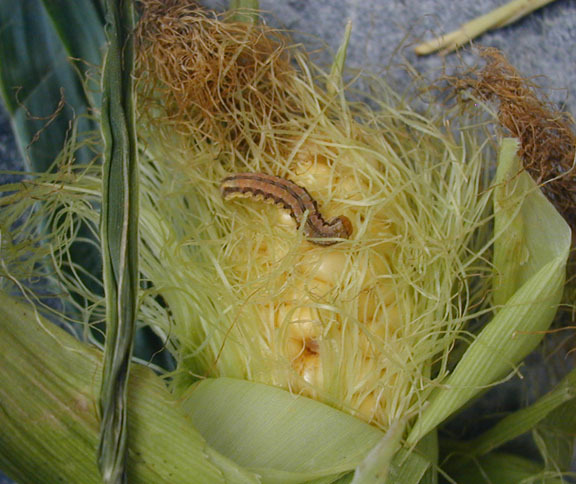 Sweet corn, in particular, is extremely vulnerable to attack by the larvae (or caterpillars) of these moth pests. 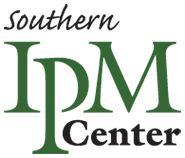 Monitoring moth catch in pheromone-baited traps can help IPM decision-making. Corn earworm is monitored using Heliothis traps (Fig 2). Pheromone lures are changed once per month and traps are monitored every few days. In general trap catch less than 1 per night means relatively low pest pressure and sprays can probably be spaced 5-6 days apart during silking. However, a catch of >1 or >13 moths per night means moderate and high pest pressure, respectively, and a more frequent spray interval is justified. 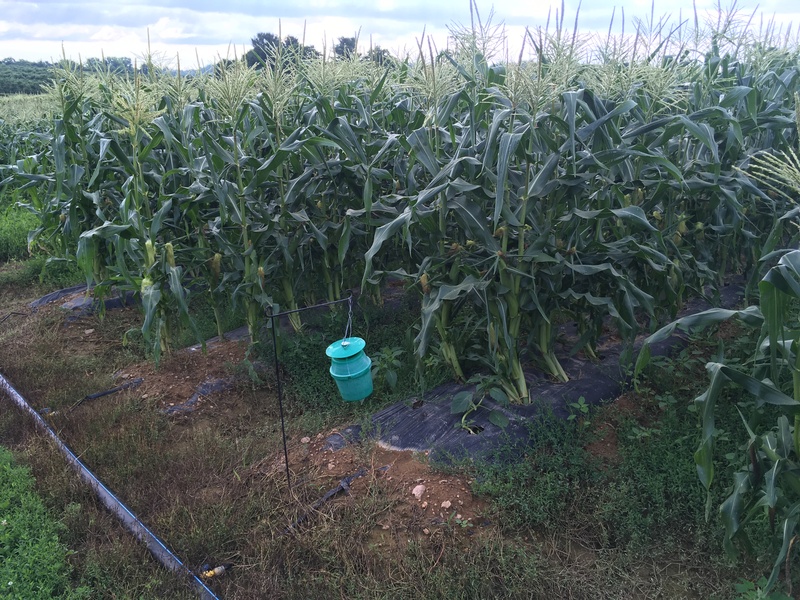 For fall armyworm, pheromone-baited bucket traps (Fig 3) are used to alert growers to the arrival of this late summer migrant from the South and its relative pest pressure. Fig. 2. 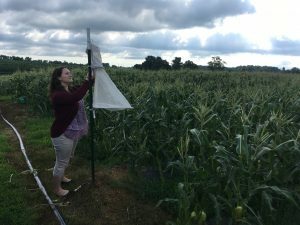 Heliothis trap being checked by summer intern Cailin Orgen for CEW moths in Frederick County, VA. Fig. 3. 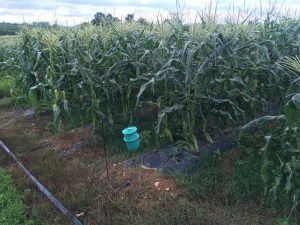 Fall armyworm bucket trap. In 2018, with the help from 14 VCE agents, we are monitoring these pests on sweet corn farms in 17 different counties in Virginia. Moth Trap Catch Data are being recorded by: Kuhar Vegetable Entomology lab (Montgomery Co.); Phil Blevins (Washington Co.); Chris Brown (Franklin Co.); Jason Cooper (Rockingham Co.); Ursula Deitch (Northampton Co.); Helene Doughty (Accomack Co.); Roy Flanagan (VA Beach); Bob Jones (Charlotte Co.); Kenner Love (Page and Rappahannock Co.); Laura Maxey Nay (Hanover Co.); Steve Pottorff (Carrol Co.); Stephanie Romelczyk (Westmoreland Co.); Beth Sastre-Flores (Loudoun Co.); Laura Siegle (Amelia Co.); Rebekah Slabach (Halifax Co.); and Mark Sutphin (Frederick Co.). Data will be posted weekly.